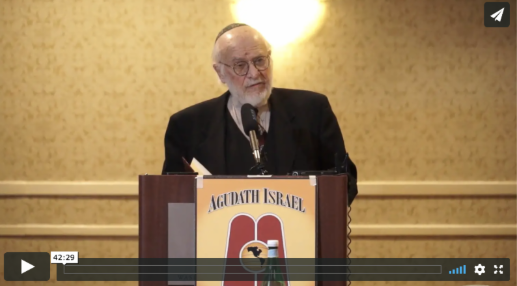 Where can I get an Agudah pin? Agudath Israel is a grassroots movement, and nowhere is that more evident than when my colleagues and I join lay leaders in meeting with elected officials. In the last five weeks I’ve joined Agudah missions to three statehouses and two trips to Capitol Hill in Washington, DC. 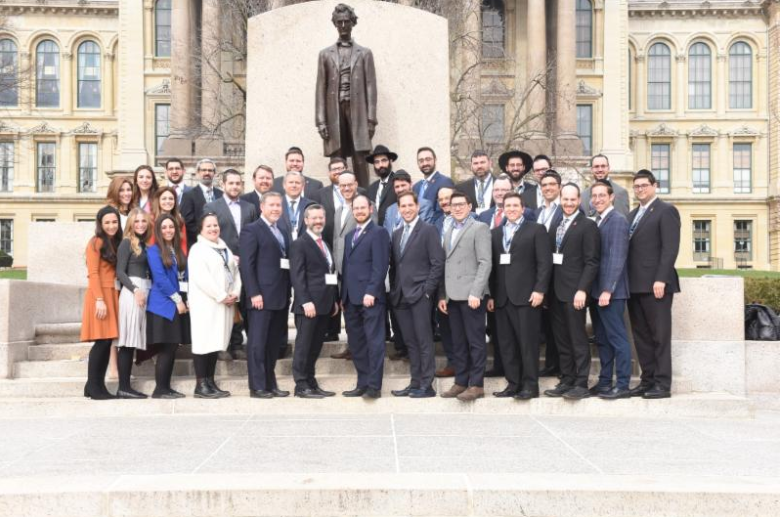 This week, I joined our Illinois director of government affairs, Rabbi Shlomo Soroka, and about fifty community members in their state capital of Springfield (see here to read more about the mission and to see pictures). One thing I noticed, was how many Illinois state legislators (not necessarily Jewish) were asking us for Agudah lapel pins. At first I thought it was simply to show their support of our group and the issues we presented, however, one lawmaker explained that ever since he started wearing the pin, he felt it brought him good luck and he had been encouraging his colleagues to wear one as well! When we visited Washington a few weeks ago, one of the highlights of the trip was hearing from new US Special Envoy for Monitoring and Combating anti-Semitism Elan Carr. Many participants asked us to post the video of his passionate, and articulate remarks. I encourage you to watch (click on the image below) and share the link to his important message with your friends. We also posted a video of the speech by prominent litigator Nathan Lewin who shared his observations on how dedicated advocates who are engaged in the legislative process can become effective catalysts for change. Mr. Lewin spoke about religious rights cases that he has argued in his own half-century long career and discussed the major role his father played in the 1957 federal kosher slaughter legislation that remains on the books today. The Polish-born Mr. Lewin, whose family fled from the Germans in the early days of World War II when he was a small child, also warned about waves of anti-Semitism that have become disturbingly prevalent, noting that they may be the harbinger of a more serious situation in the future. To watch the video of Mr. Lewin click on the image below. During our Albany Day in early March, we met with dozens of officials and raised many issues, some of which were addressed in the final budget deal. See the article here for a summary and analysis of the budget bill outcomes. In New Jersey, budget negotiations are ongoing and Rabbi Avi Schnall recently testified in Trenton, urging for additional nursing funding among other issues affecting nonpublic school students (see here). 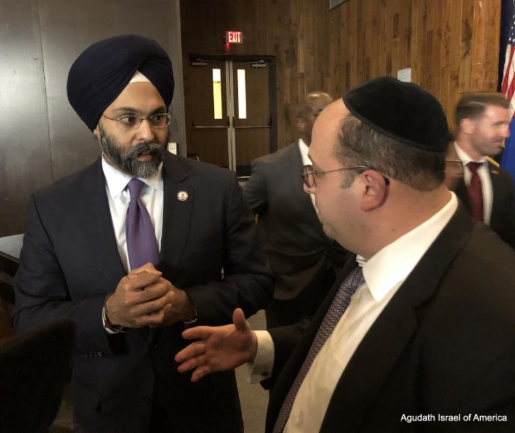 Agudath Israel’s New Jersey office welcomed a settlement announced this week by New Jersey Attorney General Gurbir Grewal in a matter involving a homeowner’s association restricting the religious freedom and Sabbath observance of Orthodox Jewish residents. To read about the case and the final settlement see here. New York State “substantially equivalent” lawsuit update: As we reported a few weeks ago, Agudath Israel joined yeshiva parents and other groups in a lawsuit arguing that the New York State Commissioner of Education exceeded its authority when issuing its new guidelines for nonpublic schools and that the guidelines themselves are unconstitutional (among other claims). This week, our attorneys filed a preliminary injunction in the case (see here). I also highly recommend that you read some of the excellent affidavits filed by a range of advocates including a yeshiva-educated Nobel prize winner Yisroel Aumann, Rabbi Yisroel Reisman, Rosh Yeshiva of Yeshiva Torah Vodaas, Professor Arron Twerski, Professor of Law at Brooklyn Law School, Avrohom Weinstock, Chief of Staff and Director of Education Affairs of Agudath Israel, Ami Bazov, Coordinator of Education Affairs at Agudas Yisroel, and Professor Awi Federgruen who pointed out the methodological flaws in the YAFFED report (which Commissioner Elia cited and attached to her affidavit).